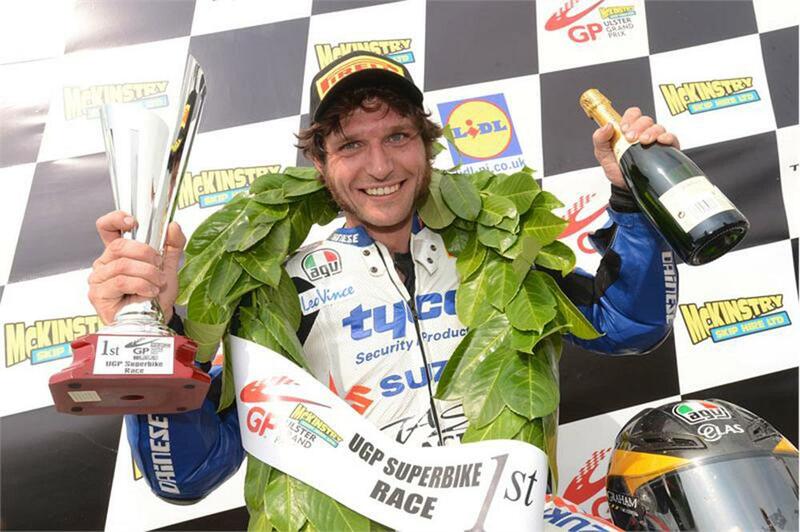 Guy Martin will be joining Pete Boast with Team Classic Suzuki to race at the Spa Bikers’ Classic on July 1 aboard the Vintage Parts programme-supported Katana in the four-hour endurance race. The race follows on from the Endurance Legends race that took place at Donington Park on May 6-7. Despite having a solid team that consisted of James Whitham, Steve Parrish and MCN’s Chief Road Tester Michael Neeves, there were no points awarded as they failed to finish following a crash on the opening lap at Goddards. 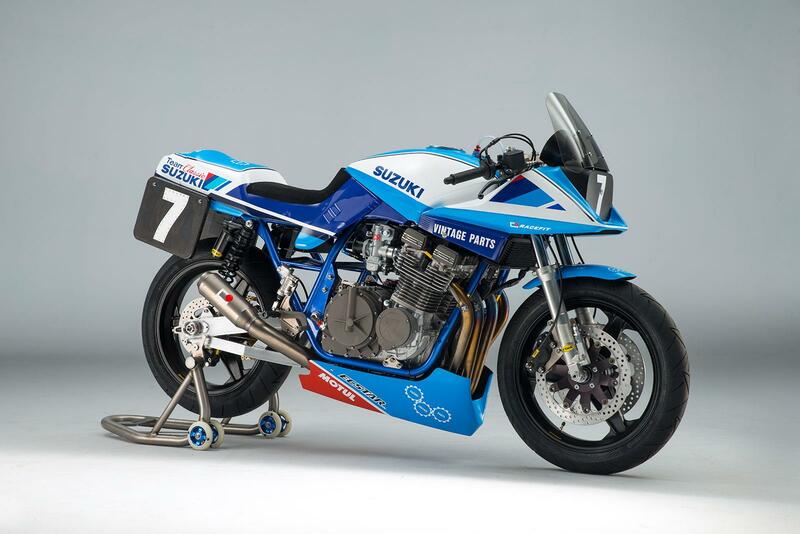 The Suzuki GSX1100SD Katana, that the team will be competing on, was put together live at the NEC Motorcycle Show last year, utilising the Suzuki Vintage Parts Programme. The engine has been bored out to 1170cc and has higher lift cams and stainless steel valves. The other engine components were all replaced with genuine Suzuki parts from the Vintage Parts programme – including the conrods, main bearings and the big end bearings on the rebuilt crank. The bike uses the original frame, with adjustments made tp the headstock and the swingarm pivot lowered. The swingarm is a custom fabricated unit from Sweet Fabrications, the wheels from Dymag and the suspension from K-Teck. Michael Neeves said, "Whitham, Parrish and me rode the Team Classic Suzuki at the first round of the European Classic Endurance series at Donington last month. But due to bad weather and our crash on the opening lap of the race we never got to see what it was capable of. It will be interesting to see what the Katana can do at Spa with Guy and Pete. "It definitely has the speed, although there’s not much bodywork to hide behind on the fast stretches and there’s no question it’s a two-wheeled work of art. Guy should really appreciate how beautifully mechanic Nathan Colombi has all bolted it all together. "Pete is a talented so-and-so who can master anything on two wheels, from classic racing to flattracking and speedway. It’s going to be a strong team. Hopefully the original rider line-up will be back together at some point, but we’ll all be cheering the team on at Spa." 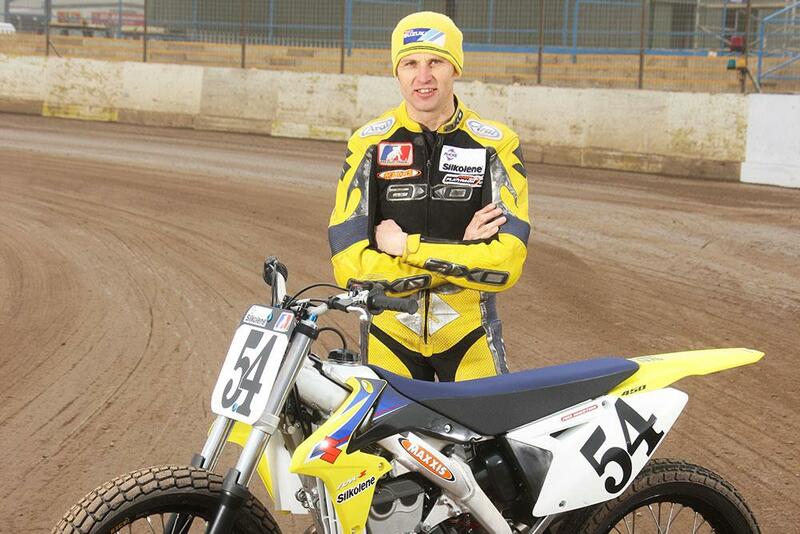 Both Guy and Pete have strong links with Suzuki, having both ridden for the manufacturer previously, with Martin having ridden on Suzuki machinery at the TT and Boast claiming both British and European Flat Track titles with the manufacturer. The Spa Classic will be taking place this weekend at Belgium’s iconic Spa Francorchamps circuit, with the four-hour endurance race taking place at 20:00 on July 1.